NCMA has two wonderful patrons. 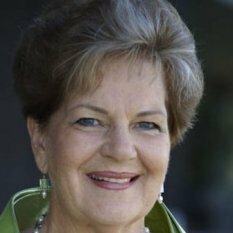 Dame Malvina Lorraine Major PCNZM DBE was born in 1943 in Hamilton, New Zealand into a large musical family. As a child she performed at various concerts, singing mainly country and western, pop and music from the shows. She received her first classical training in 1955, from Sister Mary Magdalen at Ngaruawahia, north of Hamilton. Sister Febronie continued with her voice training and Sister Liguori gave her piano tuition. As her potential blossomed, Major began travelling weekly to Ponsonby in Auckland, where she received further tuition from Dame Sister Mary Leo at St Mary’s College Music School. Sister Mary Leo was internationally recognised as one of the great music teachers, and she later taught another famous New Zealand soprano, Kiri Te Kanawa. Major later moved to England for further study at the London Opera Centre under the guidance of renowned teacher Ruth Packer. Her successes include winning the 1963 New Zealand Mobil Song Quest beating Kiri who was second. She also won the Australian Melbourne Sun-Aria in 1965, and the prestigious London based Kathleen Ferrier Award in 1966. Malvina later performed in international concerts including a BBC concert broadcast in London, an outdoor concert at the Pyramids in Egypt with the Cairo Symphony Orchestra, and a charity concert for Vera Lynn in London. She has performed more than 30 opera roles in their original languages and has recorded numerous records and CDs. 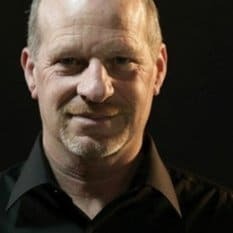 Michael Houstoun is the most outstanding pianist in New Zealand. He was born in 1952 in Timaru and began to learn piano at a very early age. In 1973, having won every major competition in the country, he ventured abroad and entered the Van Cliburn International Piano Competition where he was placed third. Other international competition successes came in 1975 (the Leeds Competition) and in 1982 (the Tchaikowsky Competition). For some years, Michael lived away from New Zealand and during this time he studied in the USA, and performed numerous concerts there, also in the UK, and in Germany and Holland. However, in 1981 Michael followed his heart back to New Zealand where he has continued to live and concertise ever since, performing also in Australia, Japan, Singapore and Hong Kong. He plays from a large repertoire which stretches from J.S. Bach to the present day, including 40 concertos and chamber music.